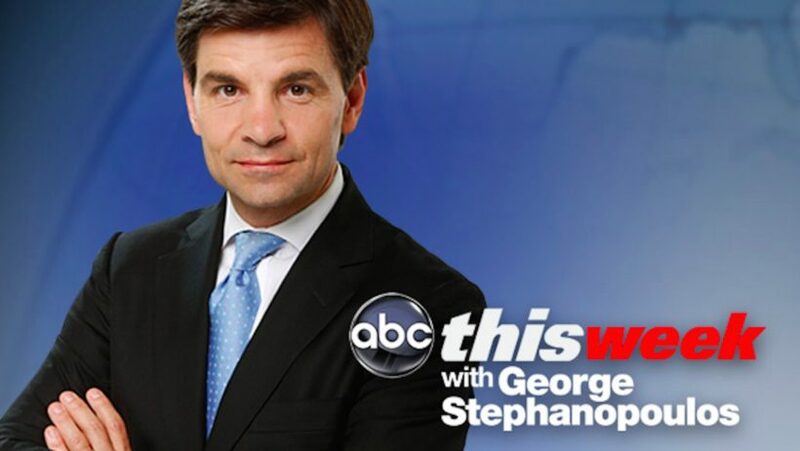 ABC News journalist (and former Clinton advisor) George Stephanopoulos interviewed “Clinton Cash” author Peter Schweizer on his show on April 26. But the ABC host, formerly a Senior Advisor on Policy and Strategy for President Bill Clinton, treated his broadcast as more of an interrogation than an interview in an effort to discredit Schweizer and defend, in turn, the Clintons. A real interview would have endeavored to understand Schweizer’s critique of the Clintons, not demand to see a “smoking gun” or “evidence” of a crime. Stephanopoulos’s conflict of interest was revealed by The Washington Free Beacon, which…contacted ABC News about Stephanopoulos’s donations to the Clinton Foundation. ABC’s spokeswoman, Heather Riley, said that they would respond, but then turned first to a friendly ally – Politico – to spin the story favorably for the network and its golden boy. ABC News initially incorrectly stated that he had given only $50,000 to the Clinton Foundation (an amount he later amended to $75,000) over three years. In reality the Clinton Foundation gives about 10% of what it collects to direct charitable grants, according to a study… “It looks like the Foundation – which once did a large amount of direct charitable work – now exists mainly to fund salaries, travel, and conferences,” writes David French. The study pointed out that “Between 2011 and 2013, the organization spent only 9.9 percent of the $252 million it collected on direct charitable grants.” In other words, less than $10,000 of the money that Stephanopoulos paid as tribute to the Clintons went to the causes he claims to care about. NBC’s Meet the Press host Chuck Todd “served as a staffer on Democratic Senator Tom Harkin’s 1992 presidential bid,” according to Politico. Stephanopoulos says he should have announced his conflict of interest. If such announcements become commonplace, which they should, where exactly will that end? Should CBS News announce each and every time it broadcasts news about President Obama’s foreign policy or national security issues that the president of CBS News is actually the brother of White House Deputy National Security Advisor Ben Rhodes? Or should ABC News have regularly disclosed that its former ABC News President Ben Sherwood had a sister with the Obama White House? She still works with the Obama administration. 1. ABC anchor George Stephanopoulos interviewed the author of a book critical of Bill and Hillary Clinton. What type of bias did Mr. Stephanopoulos display by not disclosing his $75,000 donation to the Clinton Foundation? 2. Stephanopoulos in his apology said, “However, in hindsight, I should have taken the extra step of personally disclosing my donations to my employer and to the viewers on air during the recent news stories about the [Clinton] Foundation.” As a journalist, should he have known to do so? Explain your answer. 3. Lloyd Grove of The Daily Beast asks, “Could Stephanopoulos, who is also ABC News’s chief anchor and political correspondent, be hoping for access to and exclusives from Bill and Hillary, giving him a competitive edge during the 2016 presidential campaign?” Is this a legitimate question? Explain your answer. 1. Bias by omission. He omitted his own conflict of interest in interviewing someone who was critical of his former boss and his wife, the assumed to be the 2016 Democratic presidential candidate.